The internet loves two things right now: HBO’s hit fantasy drama “Game of Thrones” (RIP Jaime Lannister’s character development!) and Disney’s Frozen. So obviously when the two join forces they’re unstoppable. Because Jon Snow never bothered me anyway. In the hilariously titled video “Let it Go(T),” the Oscar-winning songs gets some epic fantasy lyrics about how Bran is the worst, Sansa is basically in her 30s now and it’s hard to keep track of all the old bearded men. 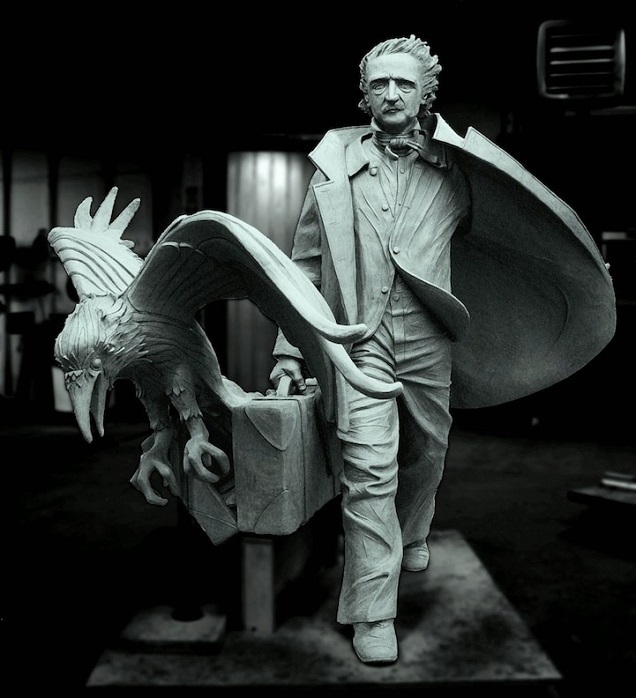 Apparently the most awesome statue ever is coming to Boston, in the form of Edgar Allen Poe and a giant raven. Yeah, we need to visit this when it’s done. The bronze statue (you can check out the clay model of it above) will be unveiled on October 5, 2014 in the aptly named Edgar Allan Poe Square. Want to be fully immersed in the Harry Potter experience but think that Pottermore is a little light on the academics? That’s where Hogwarts is Here comes in. 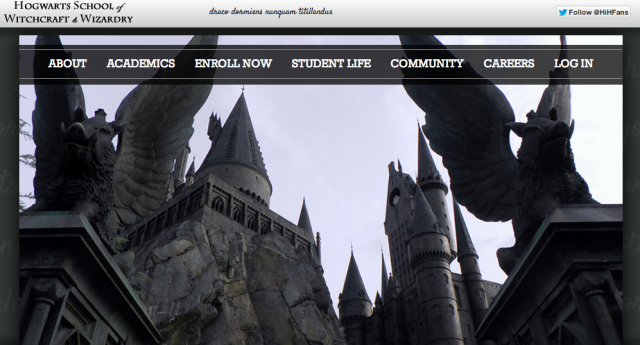 Once you finally receive your acceptance letter, you choose a house (if you want to be sorted, we suggest using Pottermore for that) and then are free to enroll in classes. Bonus: the entire experience is free, but as expected, the majority of the students identify with Ravenclaw. In addition to being bad at writing books in a timely manner, “Game of Thrones” author George R. R. Martin is a terrible wedding planner. Ain’t no wedding like a “Game of Thrones” wedding because a “Game of Thrones” wedding ends in death and despair! So if you want a wedding that involves assassins and your guests being murdered, then by all means hire GRRM, the sassiest (and bloodiest) wedding planner in all of Westeros. It’s cool, he also does funerals. 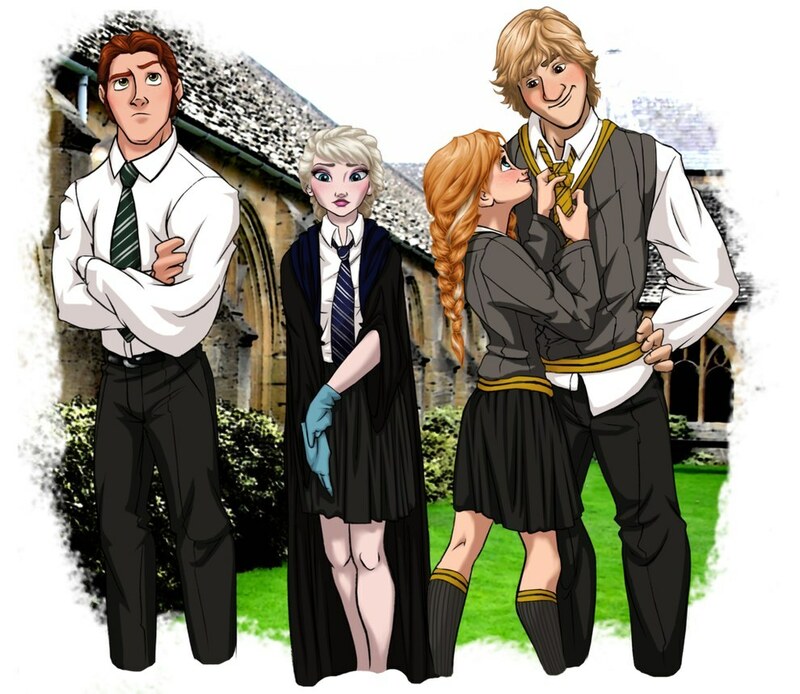 Just in case you were wondering, DeviantArt user Eira1893 has imagined various Disney characters as they would appear attending Hogwarts School of Witchcraft & Wizardry. The cliques are strong with these wizards. 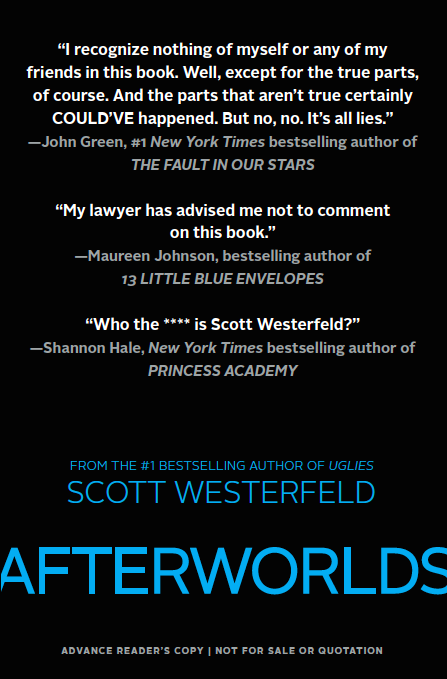 Winning in the best ARC cover category of this award show we just made up is Scott Westerfeld’s upcoming novel Afterworlds, which is about author Darcy and the time she takes off from college to publish her young adult novel. It’s two books in one! Our favorite quote has to go to author Shannon Hale and her question, “Who the **** is Scott Westerfeld?” Sadly these are super limited edition ARCs and you’d have to be very lucky to get your hands on one of the 200 that are in circulation. DC has some gorgeous figures in their Bombshell line, but just in case you don’t have the cash or the space to own the 3D versions, prints are now available of the Bombshells! You can snag the 2D versions of all your favorite DC heroes and villains as pin-ups HERE for the low low price of $14.95 per print.